« How Did Your Representative Vote on Health Care? I read this article and couldn’t believe the reasoning behind the latest crude price increase. It just screws us all and puts a drag on the recovery so speculators can make a killing thanks to the fed keeping interest rates low causing a weak dollar. I’m thinking the Fed should raise the interest rates a little as low rates keep the dollar weak but creates higher oil and gasoline prices which put a drag on consumer spending which in turn keeps job increases low as companies don’t need to hire because there isn’t any consumer demand because there is no spending. If the dollar is strong, oil/gasoline prices decrease giving more money to consumers to make purchases. 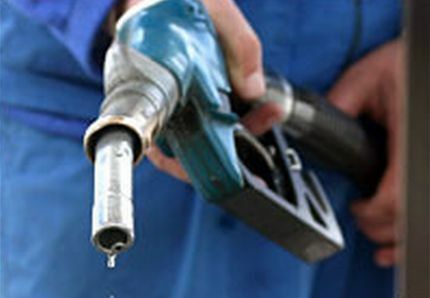 This latest increase in oil and gasoline on the market seems to be speculators since the dollar is weak, there is a surplus of crude inventory and weak job news and they just blow it off. They just want to make money so they are driving up the cost. Just my opinion. Oil prices rose near $84 a barrel Wednesday as the dollar weakened and oil traders shrugged off weak job news and a bigger-than-expected build in crude inventories. Benchmark crude for May delivery climbed by $1.39 to settle at $83.76 on the New York Mercantile Exchange. Even a surprisingly poor jobs report didn’t pull down oil prices. Payroll company ADP said employers slashed 23,000 private-sector jobs in March. Economists surveyed by Thomson Reuters forecast the report would show employers added 40,000 jobs during the month. “This bad employment report reinforces the notion that interest rates will stay low for a longer period of time, thereby putting downward pressure on the U.S. dollar and upward pressure on oil prices,” said Phil Flynn, an analyst with PFGBest. Flynn expects the Fed will not raise interest rates until the job market improves. The weaker greenback makes crude oil cheaper for holders of other currencies. Crude prices trimmed some gains after the Energy Information Administration said crude inventories rose by 2.9 million barrels last week. Analysts expected a build of 2.65 million barrels. Meanwhile, President Barack Obama said there should be more oil and gas drilling off the East Coast, in the Gulf of Mexico and in waters off Alaska. The plan modifies a ban in place for more than 20 years that limited drilling along coastal areas other than the Gulf of Mexico. Flynn called the news “a very positive long-term story for the oil markets,” but said it’s too far into the future to move oil markets today. A number of energy companies could eventually be involved in the new offshore areas, although investors did not rush to buy shares, many of those companies showed modest gains. The AMEX Oil Index, comprised of a dozen major oil companies and refiners, rose about five points, or a half of a percentage point. The Philadelphia Oil Service Sector Index, which tracks shares of 15 companies in that sector, gained more than 1 percent. At the pump, retail gasoline prices edged up. The national average rose less than a penny to $2.798 a gallon, according to AAA, Wright Express and Oil Price Information Service. A gallon of regular unleaded is 9.3 cents more than it was a month ago and 75 cents above the price a year ago. In other Nymex trading in April contracts, heating oil rose 3.99 cents to settle at $2.1646 a gallon, and gasoline gained 3.53 cents to settle at $2.31 a gallon. Wednesday is the last day for trading the April heating oil and gasoline contracts, and most traders have switched over to May contracts. May heating oil rose 4.74 cents to settle at $2.1790 a gallon, and May gasoline added 3.51 cents to settle at $2.3072 a gallon. Natural gas for May delivery fell 10.4 cents to settle at $3.869 per 1,000 cubic feet. In London, Brent crude rose $1.42 to settle at $82.70 on the ICE futures exchange. The subsequent time I read a blog, I hope that it doesnt disappoint me as much as this one. I mean, I do know it was my choice to read, however I truly thought youd have one thing interesting to say. All I hear is a bunch of whining about one thing that you might fix if you werent too busy searching for attention.